Chloe Kelly admits Everton were punished for not taking their chances as the Blue Girls fell to a 2-1 home defeat to West Ham United. Despite Claudia Walker tucking home from close range after just five minutes, the visitors fought back through Jane Ross and Alisha Lehmann to take the points back to London. 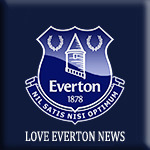 Everton had chances to earn a share of the spoils – Inessa Kaagman and Dan Turner miscued from close range from the same tantalising Kelly cross, while the Dutch midfielder was denied by an excellent block from Ria Percival and saw a free-kick saved by Becky Spencer. But in the end, it could have been worse for the hosts, as Kirstie Levell was needed to make a fantastic second half save from Ross’ penalty after Brianna Visalli was upended by Meg Finnigan. “We should be putting those chances to bed,” said Kelly. “We had opportunities but we were not clinical enough today. We are a really disappointed because we were 1-0 up and we felt we could go on and win the game. “We created our own mistakes, West Ham took their chances and we didn’t. “We were confident we could turn it around at the beginning of the second half. In the first, we had chances and it wasn’t a case of panicking. It was about putting into practice what we have been working on in training to get us out of it. It just didn’t go our way. Everton midfielder Abbey Stringer said missed opportunities cost the Blue Girls as they fell to a 2-1 WSL defeat to West Ham United on Sunday. After racing into a 1-0 lead at Southport, courtesy of Claudia Walker’s fifth-minute opener, the Toffees went into the break behind after goals from Hammers duo Jane Ross and Alisha Lehmann. Despite carving out chances in the second half – Inessa Kaagman was denied by an excellent last-ditch tackle from Ria Percival, while the Dutch midfielder and Dan Turner were both inches away from connecting to Chloe Kelly’s ball across the box – the hosts could not find an equaliser. But Stringer knows the squad will be hard at work on the training pitches at USM Finch Farm to make sure the wrongs are right ahead of a crucial game against Yeovil Town on Sunday (3pm kick-off). “The game was a bit of a mixed bag,” she said. “We started off really well and for the first 20 minutes we were on top and playing some really good football. “We had chances and we should have put them away. There were one or two really good opportunities and had we taken them then it would have been a different game. The Toffees sit 10th in the Women’s Super League table just two points ahead of bottom side Yeovil, with the two sides set to square off on Sunday. A win for the Glovers would take them above Everton but Stringer is confident the squad can bounce back. “We are not in the position we want to be, down there near the bottom of the table,” she added. “But the West Ham game is done now, we have reviewed it, and we’ve assessed what went right and what went wrong. “We have to be ready for the Yeovil game because they are going to come out exactly the same as West Ham because they will want to pick up their first win of the season. Chantelle Boye-Hlorkah has likened Everton Ladies teammate Kirstie Levell to clubmate Jordan Pickford after her penalty heroics against West Ham United. Levell was in fine form against the Hammers on Sunday, saving Jane Ross’ penalty to keep the Blue Girls in contention to level after Ross and Alisha Lehmann had overturned Claudia Walker’s opener. Hours later, Pickford himself was doing likewise, pulling off a stunning save to deny Paul Pogba against Manchester United at Old Trafford. Levell’s stop was one of a number of vital saves she has made in recent weeks, most notably in the final minutes of the home draw with Brighton to keep hold of a point. Boye-Hlorkah came through the ranks with the custodian and has seen first-hand how Levell has worked tirelessly on her game to become a regular WSL keeper at the age of 21. “That save will have boosted her confidence a lot,” she said. “Kirstie thinks she’s the female Jordan Pickford doesn’t she, saving these penalties! “All jokes aside, her reactions to get back up and save the second effort as well were brilliant. Ross was alive to the rebound but Kirstie has got there first and made another really good save. “Ross is one of the best forwards in the league in my opinion and that save will give Kirstie a huge lift. It could have a really big moment because had they scored, the game could have got away from us. “It gives you confidence knowing there is a strong keeper who is playing well behind you. Even in moments where I’m passing the ball back to her, I know she is as good with her feet as she is with her hands. “There are a few good young keepers in the league but obviously I am going to back my own goalkeeper! Kirstie is up there with the best of them and all the girls want her to continue showing the quality that we see day in and day out on the training pitch.